The third-generation iteration of the Maruti Suzuki Wagon R has finally made its debut in India. It is based on Suzuki’s lightweight HEARTECT platform, the new Wagon R is longer, wider and as a result of this, offers more space on the inside, both for the passengers as well as their luggage. 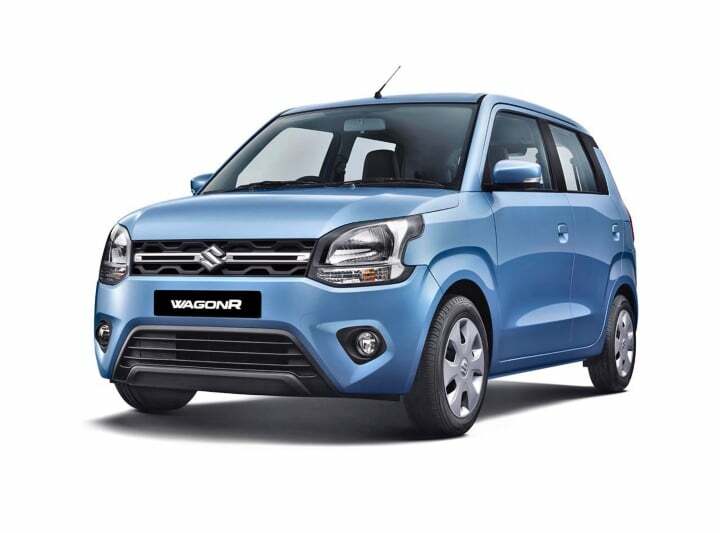 In a first in the history of Wagon R, Maurti Suzuki has introduced this car with two engine options, the existing 1.0-litre along with the Swift’s 1.2-litre unit. As a result of this, it has become the only Maruti car in India to retail with two different engines of the same fuel. All that said, it will not be a smooth sailing for the tall-boy from Maruti. 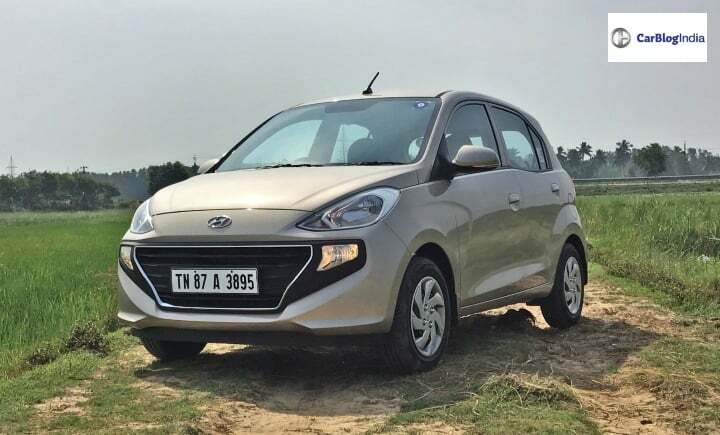 This is because it will face stiff competition from its arch rival, the Hyundai Santro, which too received a major generation update last year. 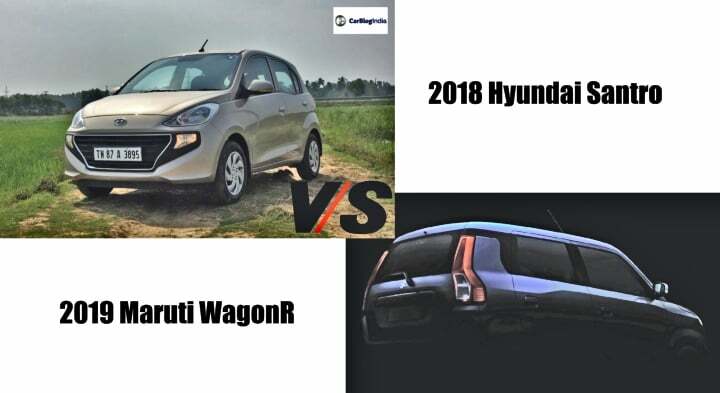 With most of the details regarding the new Wagon R already with us, in this article we have decided to bring you a detailed specification based comparison report between these two compact hatchback. Read along! 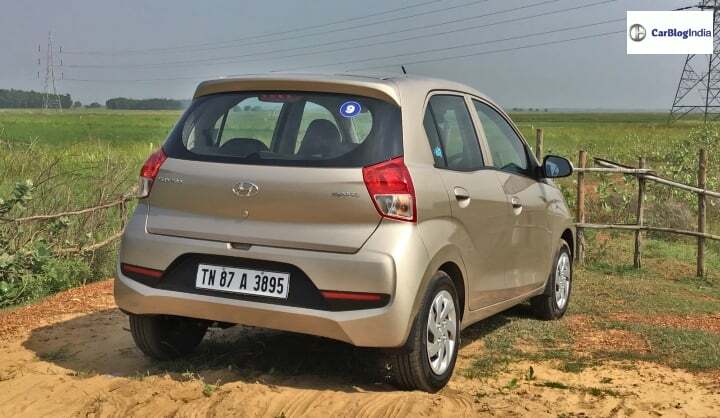 The third generation iteration of the Hyundai Santro made its debut in India during the month of October 2019. Available only in the petrol guise, the base variant of this compact hatchback currently retails at a price of INR 3.9 lakh. While the top-spec variant is currently available at a price of INR 5.65 lakh (ex-showroom). 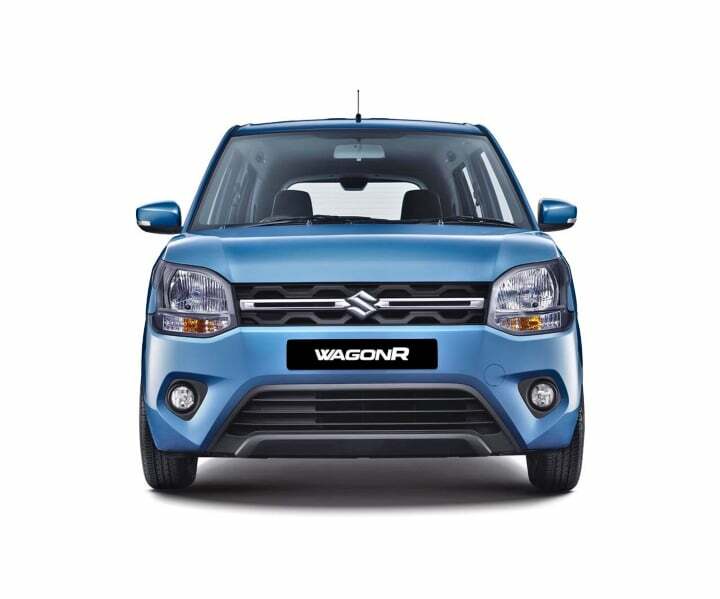 Talking about the WagonR, the next-generation iteration of this compact hatchback treads a similar territory when it comes to its prices. The base variant of the Maruti Wagon R retails at a price of INR 4.19 lakh. The top-end variant retails at INR 5.69 lakh (ex-showroom). 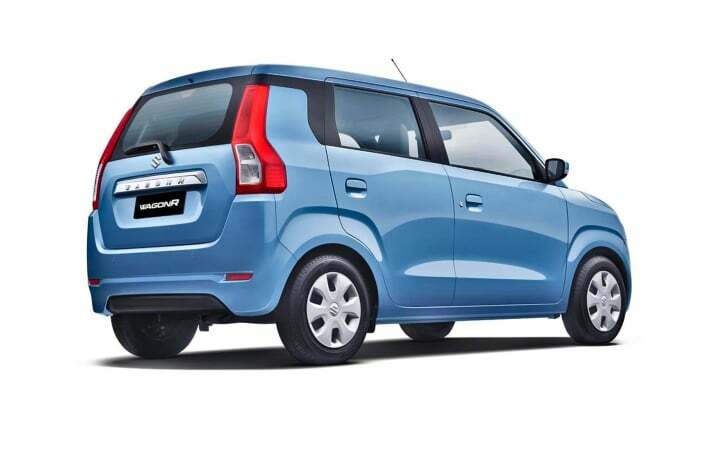 The new Santro comes with a 1.1-litre, 4-cylinder petrol engine. It is capable of producing 69 BHP of power along with 99 NM of peak torque. As standard, there is a 5-speed manual gearbox on offer. That said, Hyundai is also offering a 5-speed AMT unit as well. This economical automatic gearbox is available only on the mid-spec Magna and Sportz variants. As mentioned before, the new Maruti Wagon R for its 2019 iteration will retail with two engine options. One is going to be the existing 1.0-litre, 3-cylinder unit capable of churning out 62 BHP of power along with 90 NM of peak torque. This engine will retail in a total of three different variants. These will be the LXI, VXI and the VXI with AGS. The other engine is going to be the 1.2-litre, 4-cylinder unit, which is good for producing 82 BHP of power along with 114 Nm of peak torque. This engine will come as standard with a 5-speed manual gearbox. However, it can be opted along with a 5-speed AMT unit as well. This engine is going to be available on a total of four trim levels. These are the VXI, VXI (AGS), ZXI and ZXI (AGS). 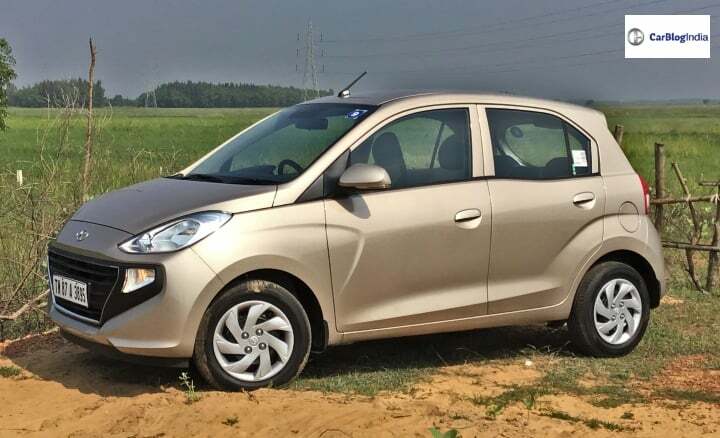 With its new platform and the use of the same 1.1-litre, 4-cylinder Epsion engine, the new Santro promises an ARAI certifies fuel efficiency figure of 20.3 km/l. Expect the 2019 iteration of the Maruti Wagon R to offer a mileage figure of around 20 km/l. In real world driving condition, this number can stand around the mark of around 16-18 km/l. From the outside, this third generation iteration of the Santro is completely different from its earlier generations. Its exterior design is based on Hyundai’s Fluidic Sculpture 2.0 philosophy. Hence, you get a very sharp yet sophisticated persona. Up-front, you get a large grille, Hyundai’s cascading grille design. The side profile with the slight kink on the rear window makes it look quite youthful. At the back, Hyundai has kept things simple yet elegant. The square tail-lamps looks very basic but couple them to the otherwise sharp creaes, the whole rear fascia looks quite appealing. Coming to the new Wagon R, with this generation update, it will continue to retain its tall-boy design. Going by the spy shots of the test mule, it seems that there is no change in terms of the vehicle’s overall silhouette. Expect the new Wagon R to come with an aggressive front fascia. We believe that the 2018 Wagon R could even take its design inspiration from the Suzuki Solio. This vehicle is currently on sale in Japan. And was recently seen testing on Indian roads. 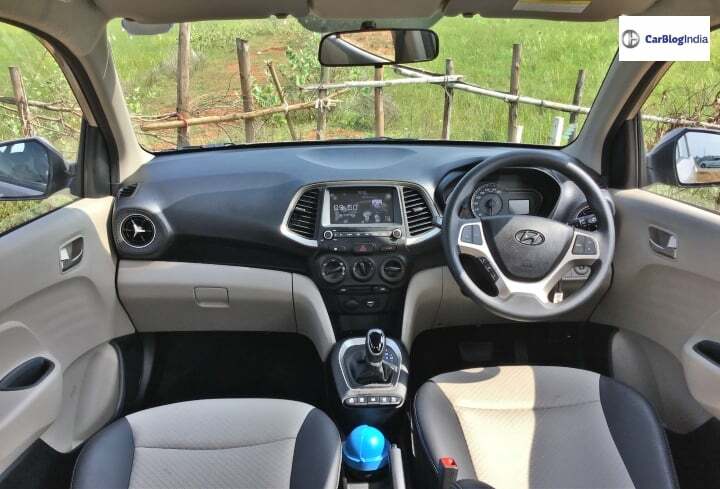 In typical Hyundai fashion, the interiors of the Santro feature a very sophisticated look. In order to keep things interesting, the dashboard comes with an augmented layout. The dual-tone colour scheme adds premiums to the cabin. And the ‘elephant inspired’ centre console gets looks quite nice as well. Overall the touch and feel of the cabin are quite nice, something which you expect from an Hyundai nevertheless. Also Read: New 2018 Hyundai Creta Facelift – All You Need to Know! Coming to the new Wagon R, we expect the cabin to get a major overhaul. The design will remain neat and simple. Just like the current spec version, it will have plenty of storage space onboard. In addition to this, the interiors will be roomy enough to accommodate 5 people. The quality and finish of the materials are going to be decent. 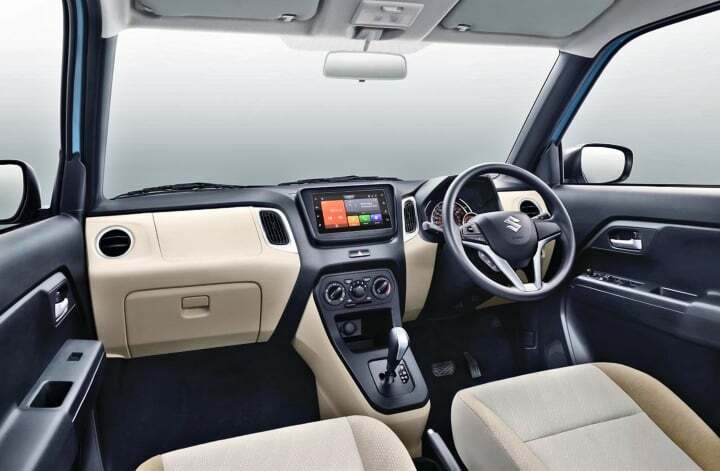 We expect Maruti to stick to a single tone colour scheme for the cabin. Likely to be primarily black in nature with several silver accents. Hyundai is known for offering top-of-the-line features across its product line-up. And despite the Santro being an entry-level product, it gets a very decent feature list. In terms of safety features, the 2018 Santro comes with driver’s side airbags along with ABS and EBD as a standard fitment across the range. Range topping models comes with dual-airbags, rear parking camera and rear parking sensors.